Was Your Car Insurance Claim Denied? Was your car insurance claim denied by the other driver’s carrier after a recent crash? If so, you’re probably confused and unsure of what steps to take next. Car crashes are expensive, and if you or someone else suffered injuries, the costs can run into tens of thousands of dollars. Few of us have that much money available. 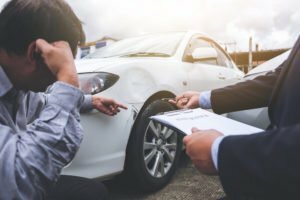 In this article, we’ll help you answer that question by explaining why your car insurance claim may have been denied. To learn more, contact the Law Office of Manning & Zimmerman PLLC today. While insurance companies are picky, they also tend to be very careful, if only because they don’t want you to sue them. Most of them will work with you in good faith to try to get your claim resolved ASAP. However, sometimes there are hiccups in the process. The main reasons an insurance company may deny your car insurance claim is because it either hopes you won’t pursue the claim any farther and will just go away, or it thinks the claim lacks merit. They may be relying on an unreliable witness or some other form of evidence you lack. Even if their driver was totally at fault, they won’t admit it. Their primary evidence may be the other driver anyway, and their story is almost always going to contradict yours — especially if they lack a police report. Exclusions. The at-fault driver may have provisions in their policy whereby the insurance company can get out of paying you. The most common is the “acts of God” exclusion, where they claim a natural event actually caused the crash. They can argue there was a bad storm when the crash occurred and was not the result of their driver’s wrongdoing. Lapsed Policy. The insurer can refuse to pay if their driver failed to pay their premium on time and had no coverage when the crash occurred. At this point, your own uninsured or underinsured motorist provision may have to pick up the slack. Failure to Notify. Most car insurance policies specify a certain time-frame during which you must report the crash. If you fail to do so, they may deny your claim when you do. Always report a crash to both insurers ASAP. Your side of the story in detail. The total cost of your vehicle damages. Your argument as to why the other driver was responsible. 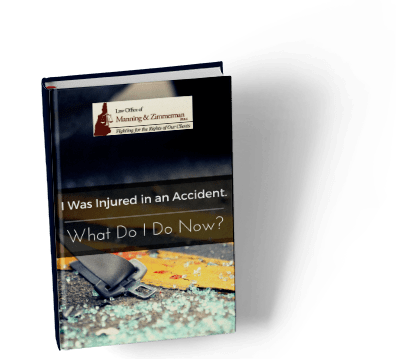 Once your NH injury attorney has prepared and sent a demand letter to the insurance company, they either have to provide you with a specific reason they denied your car insurance claim, pay you the full amount, or make you a smaller offer. If the insurance company’s response does not satisfy you, your New Hampshire injury lawyer at Manning & Zimmerman Law can engage in an appeals process. Some states require a formal appeals process for all denied claims. New Hampshire isn’t one of them, but it does require insurance companies to provide at least one level of appeal, and ideally two. Either way, you’ll have a better chance of negotiating a settlement. If the appeal system fails, you can still file a lawsuit against the insurance company. Discuss this with your injury lawyer before you finalize this decision. It may be the best option under the circumstances, though your injury attorney will be sure to let you know if your chances of success are low. If that’s the case, or if the cost of a lawsuit will exceed what you could reasonably recover (assuming you win the case), then they’re likely to caution you against a lawsuit and trial. If you have been injured by another person’s careless acts, contact the experienced Manchester injury attorneys at the Law Office of Manning & Zimmerman PLLC. We may be reached at (603) 232-7278 and by email at info@MZLawNH.com. You may also use the “contact us” or chat feature on our website.